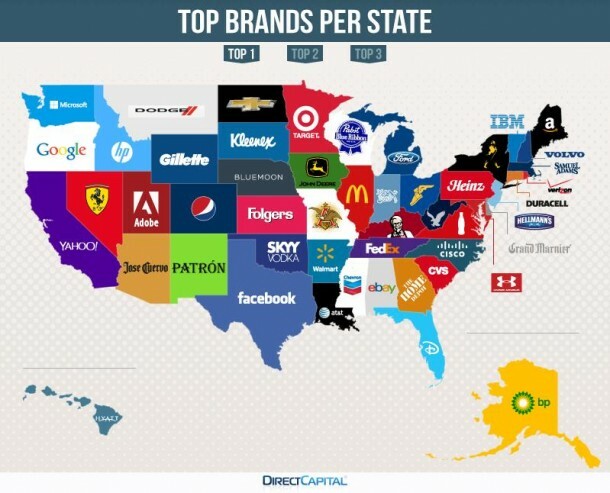 You’ve seen many images and studies linking to a state’s image or reputation, but now a study has been done to try to pinpoint the most searched for brands on Google, one state at a time. 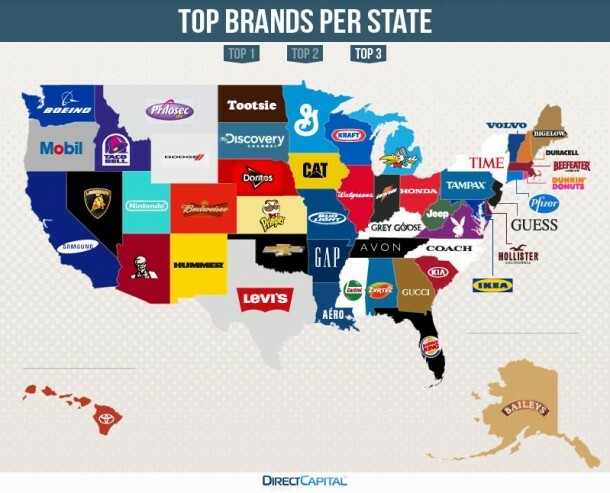 The folks over at Direct Capital researched the top brands searched in each state to find the most well searched brand on Google. The company looked at a list of 200 big brands and used Google Trends, specifically the keyword search popularity, to find out if there were any patterns. Take a look at the image below – are there any surprises for your state? 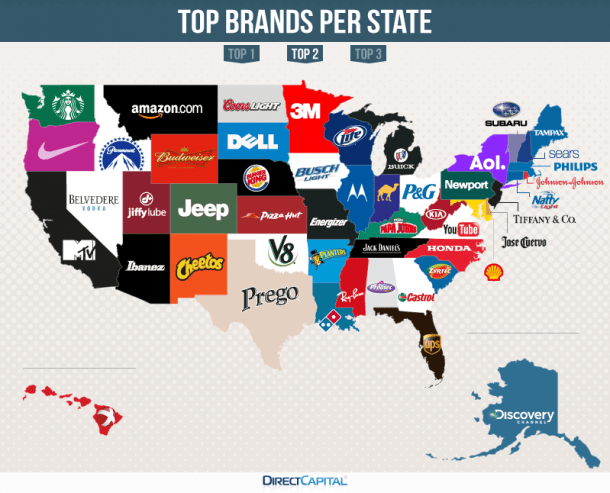 The images below show the second and third place brand searches by state. While some are random across the top three spots (Idaho’s top three, in order, are HP, Paramount, and Taco Bell), others are more predictable based on one’s knowledge of a state and it’s reputation (think Wisconsin – beer, beer, cheese). This is a fun visual for marketers to learn more about what people are searching for online by geography. There may be some valuable information in the map, depending on your industry and geographical presence. Otherwise, it’s another fun graphic to see how each state’s residents use the internet.